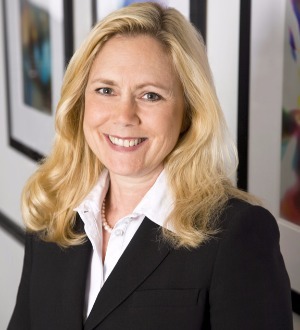 Julie Quaid is a partner in the firm of Quaid Farish, LLC whose practice is limited to matrimonial law. Quaid Farish and all its lawyers are Martindale-Hubbell "AV" rated and are listed in the Bar Register of Preeminent Lawyers, the highest ratings a lawyer and a law firm can receive. Julie provides her clients with a full spectrum of family law services, including collaborative divorce, pre and post-marital agreements, domestic partnership agreements, complex property issues and child related matters. Julie has been selected for inclusion in the Best Lawyers in America in Collaborative: Family Law and Family Law, has been selected for inclusion in the list of Best Women Lawyers by DMagazine and selected for inclusion in the list of Texas Super Lawyers for many years. She has additionally been selected as Lawyer of the Year Collaborative: Family Law by Best Lawyers. Julie is a frequent author and presenter on collaborative law and has conducted multiple trainings assisting other professionals in acquiring the skills needed to practice in the collaborative process. Julie is the Past Chair of the Collaborative Law Section of the State Bar of Texas, past President of the Collaborative Law Section of the Dallas Bar Association and is a member of the Board of Directors of Collaborative Divorce Texas. Julie volunteers her time and serves on the Board of several community organizations, including Chairing the Board of Directors of Café Momentum which teaches critical skills to at-risk youth that allow them to make positive life choices in the future and develop pro-social behaviors. She also volunteers her time and has served on the Board of Directors of Texas Loves Children, an organization whose mission is to improve case outcomes for abused and neglected children by enhancing the quality of legal services they receive. Julie devotes a large percentage of her practice to pro bono activities, including providing collaborative services to families involved with child protective services in a pilot project which joined the Texas Department of Child and Protective Services and the families in a collaborative effort to reunite the families. Julie believes strongly in the concept that a couple can resolve their family law matter in a respectful way and with dignity. She is dedicated to helping families resolve their disputes peacefully, if at all possible.